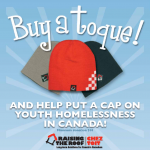 The New Westminster Homelessness Coalition is happy to participate in this year’s “Toque Tuesday.” This annual campaign was established by Raising the Roof to address issues of youth homelessness in Canada. The Columbia Street, New Westminster, and 22nd Street SkyTrain stations (additional stations may be added later) during the morning (6:30-8:30 am), noon (11:30 am-1:00 pm), and afternoon rush hours (3:00 -5:30 pm). 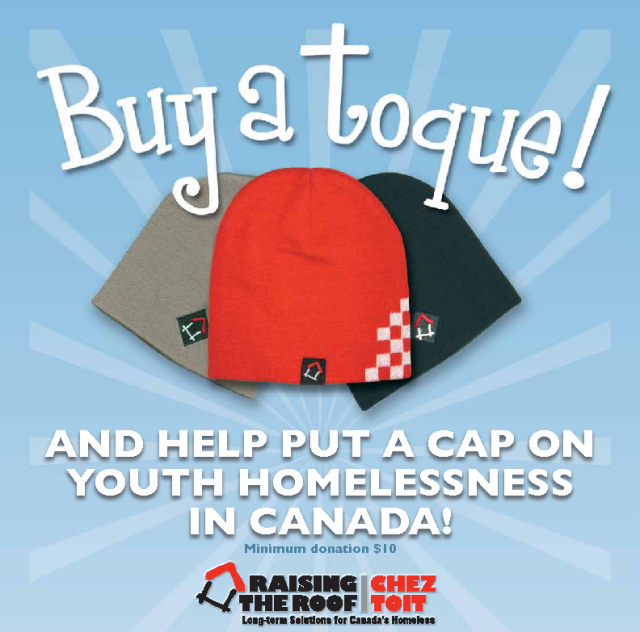 The suggested minimum donation for a toque is $10. This year’s local proceeds will go to support the Broadway Youth Resource Centre as well as a Surrey-based organization also working on youth homelessness in the region. If you would like to find out more, or would like to volunteer to sell the toques, please contact Dave Brown.